I’ve lived in Pittsburgh’s East Liberty neighborhood for most of my 37 years. I can remember as a child stepping out of my house in the morning and smelling the cookies and baked goods from Stagno’s Bakery and the Nabisco factory. The scent permeated our neighborhood, but now Stagno’s Bakery is closed to the community and the Nabisco building houses Google and UPMC offices, expensive boutique chains and new luxury apartments. I’m a mother of two (soon to be three) and I work as an administrative assistant in the pathology department at UPMC Presbyterian. Over the years, I have seen these and other changes in Pittsburgh that just don’t spell real progress for families like mine. Many of my neighbors are also my co-workers at the hospital. Together, we’ve been fighting for living wages and union rights for all service workers in the city. We want our children to be able to live comfortably in what is supposed to be one of the “Most Livable Cities” in the United States. Yet we don’t necessarily benefit from many developments that promise to “improve” our city’s livability. In fact, we’re often harmed. So, when we hear about coming improvements, our first question is: Improvements for whom? Most of the stores, restaurants and small family-owned businesses my family and I used to go to in East Liberty no longer exist. Sears, Family Pride Chicken, Anthon's Restaurant and Bakery, Highland News Shop, Jamaica Jamaica Caribbean restaurant, Welsh's Restaurant and Bar and Woolworths are gone. Yes, businesses come and go, but what’s noticeable about the incoming crop of stores is that they aren’t affordable on the wages paid to the Black service workers who live here. "So, when we hear about coming improvements, our first question is: Improvements for whom?" Our housing opportunities are also changing. The three high-rises in East Liberty along Broad Street and Larimer Avenue as well as Penn Avenue were demolished to make way for new housing and a Target. Residents were also forced out of the Penn Plaza apartments — or out of the city altogether. And while some of the new housing is subsidized, rent for a three-bedroom apartment can be as much as $1,895 per month plus utilities. If your weekly pay after taxes is $450, how can you pay that and feed your family? My neighbors and coworkers, who have been forced out of town to find housing they can afford, lack convenient bus transportation and risk being written up for tardiness if their buses runs late or their routes are cut. It all adds to the stress and insecurity of daily life, which has been shown to be a major killer of Black women and moms like me. I’m proud to be from Pittsburgh and part of the East Liberty community. I want our city to keep progressing, but not if it excludes the hard-working families that help make our city great. A few years ago, developers took buckets of gray paint and erased our neighborhood’s “Lend Me Your Ears” mural. The moves to erase the past didn’t stop there. My neighborhood was just given a new name: the Village of East Side. I cringe when I hear it. It’s a new identity meant to transform the neighborhood’s image and bring in new residents — at the expense of the families who built it. We all want Pittsburgh to thrive. We all want to embrace change. But change that includes all of us means making sure plans actually address our needs. My decades in East Liberty have taught me that the approach of “innovate now, worry about Black people later” results in a better city for some – and harm to others. Nila Payton is an administrative assistant in the pathology department at UPMC Presbyterian. She lives in East Liberty and is a member of Hospital Workers Rising. She can be reached at niladawn80@gmail.com or on Facebook. There’s no room in Pittsburgh for gentrification? Why not? If I want to buy a property, fix it up, then pay property taxes and wage taxes in the city, what’s wrong with that? Do you realize that the Pittsburgh’s financials are no longer in the hole because so many companies and individuals have chosen to invest in the city? There’s plenty of other neighborhoods in Pittsburgh which remain low-cost, including some adjacent to East Liberty. Go ahead and seek them out and effect your own change. I don’t believe the point was to keep the neighborhood as it has been. There is room for change, not gentrification. Would it have been better to leave the rotting high rises in place? To leave the old Nabisco plant derelict? 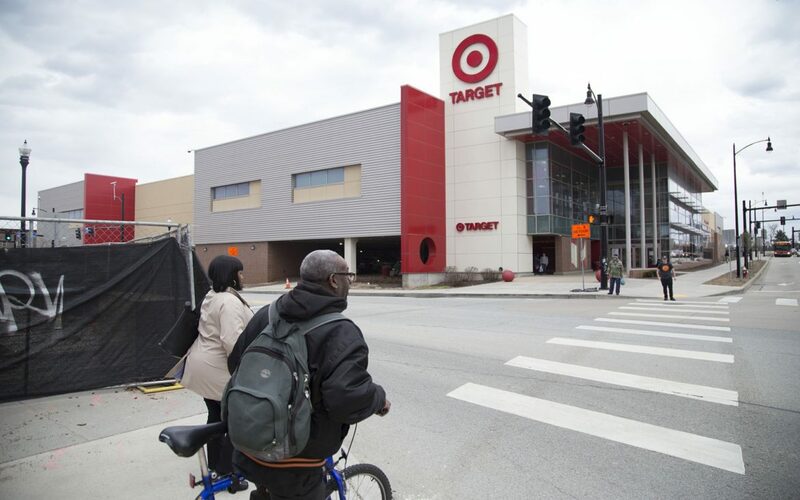 To not build a new Target store after Sears closed? Should you be given a special coupon to rent an apartment within a mile radius of where you grew up? Should low-income white residents of Lawrenceville be given the same consideration when they are priced out of “their” neighborhood? So…what are you saying? That gentrification results in less crime? That the residents that were forced out were criminals? And yes, East Liberty is called East Side. Wow….a purpose made troll account. White guy, probably in a comfortable north hills suburb who’s quietly racist. Well…if you squeeze out the poverty you tend to squeeze out the crime that poverty generates. People who make 7K a month or more tend not to do street crime…. But it doesn’t really address the issues that gentrification brings as these people are squeezed out of being able to afford to live at all. Don’t you dare judge how people choose to live there life. There is enough spac in this city/neighborhood for all, know matter who you think you are, or what side of the tracks you come from. God owns everything in this universe, and it for ALL of us. STOP HATEING!! Self Victimization. You complain about monetary problems yet you are going to have a third child. Three choices guarantee to not live in poverty. Go ahead and have children, but don’t complain when you don’t have money. I don’t have children because all I do is work. It is my choice so I can have what you complain you don’t have. I work 16-20 hours per day, 7 days per week but I’m supposed to give away my money? No one calls East Liberty “Village of East Side” – that’s the name of the Whole Foods development which is technically in Shadyside and was a taxi parking lot. I also love how this article skips over the extremely dramatic drop in crime in East Liberty.